A masterpiece of sound, picture and digital entertainment. The BeoVision 11 sets new standards as an entertainment center for televisions. 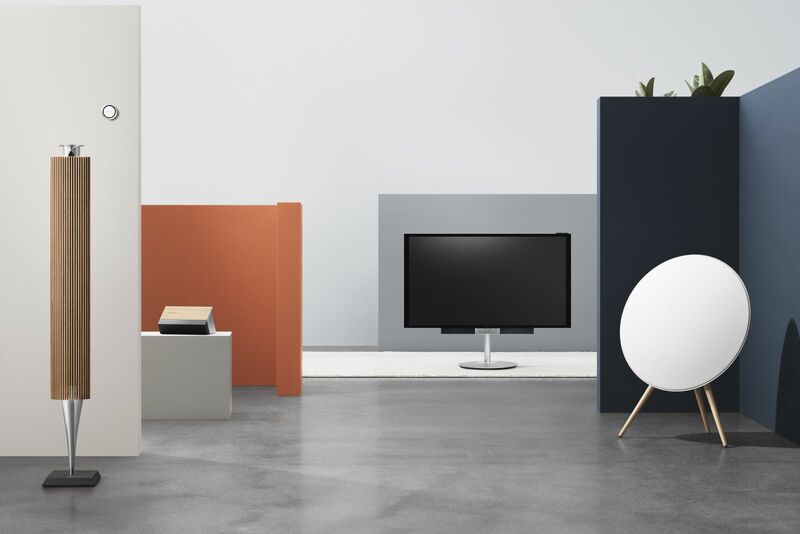 The new TV was conceived to provide the entire family with a comprehensive range of up-to-date digital entertainment of the highest level – without compromising the timeless aesthetics, intuitive controls and high-quality sound that Bang & Olufsen is famous for. The BeoVision 11 is revolutionizing your current understanding of a TV set because it offers access to an unexpected spectrum of digital entertainment. 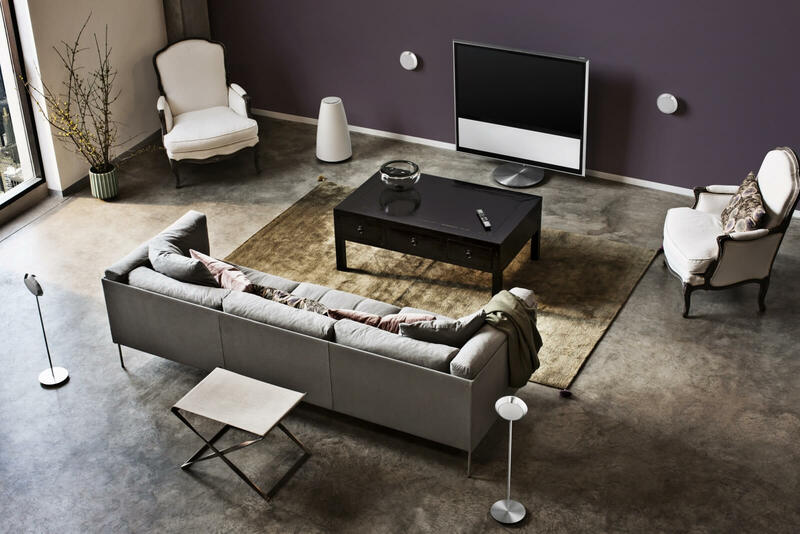 Combine your Bang & Olufsen Smart TV with an integrated hard disk drive and use Hybrid Broadcast Broadband TV (HbbTV®) to interrupt the current program, to download special content to your favorite shows, or to watch missed programs. The BeoVision 11 can of course also connect on your gaming console, Apple TV or your Blu-ray player. No matter what form of home entertainment you want to enjoy - now you have the freedom freely to choose. 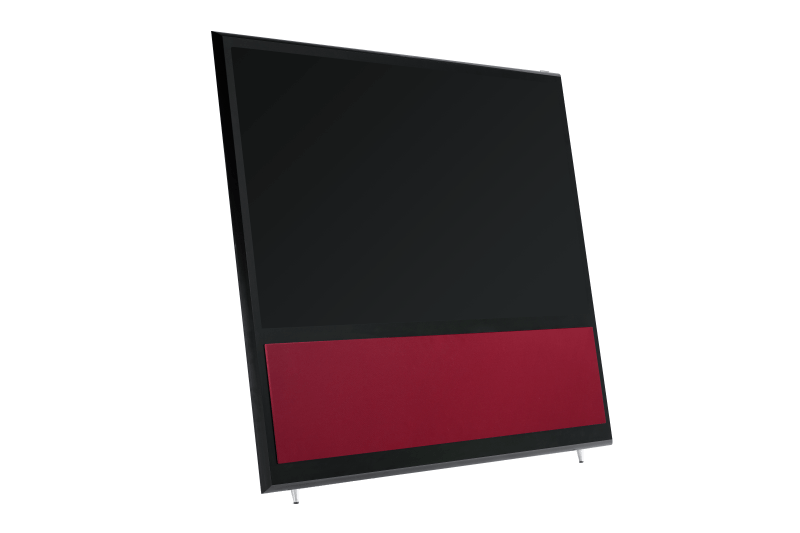 The design of BeoVision 11 has been conceived to fit any interior. You can decide whether the device should keep discreetly in the background or stand out as a colorful artwork. The fabric front is offered in various colors and is easy to replace. 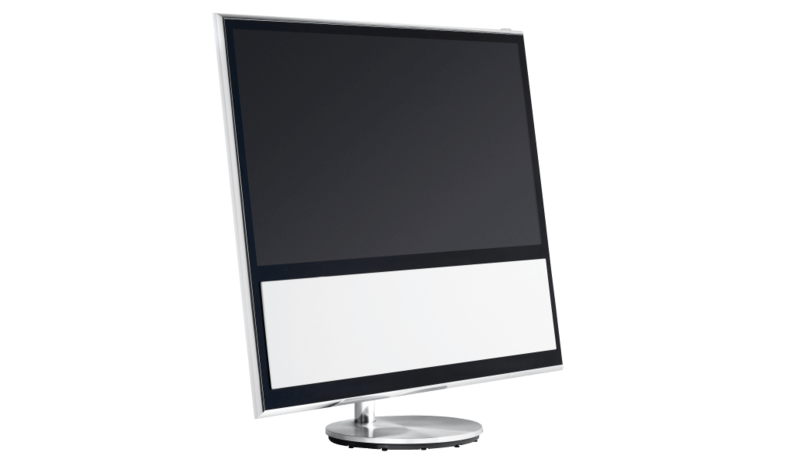 BeoVision 11 is available in size 46 inches. 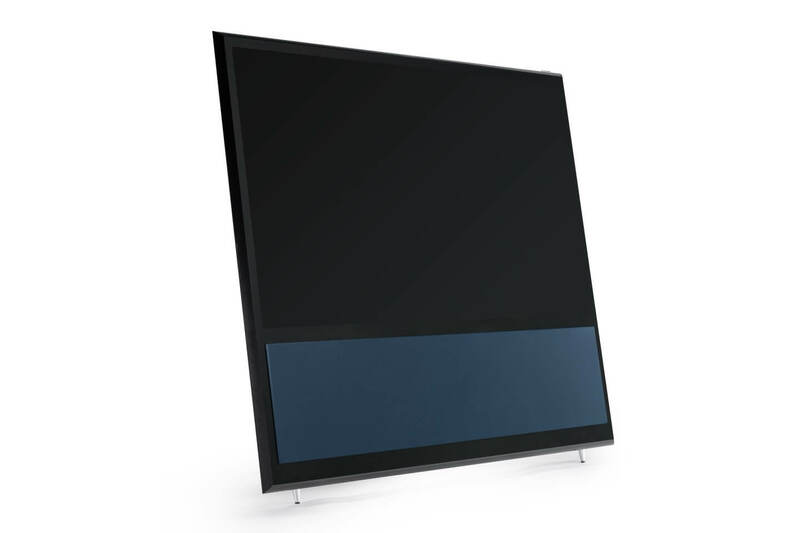 With four different installation options, BeoVision 11 sets also a sign. In rooms where a screen rotation is the best option, the motorized floor stand or the new motorized wall bracket provide highest comfort. Both can be controlled with the remote control. Furthermore, a wall bracket with manual turn and an easel stand are available, too. 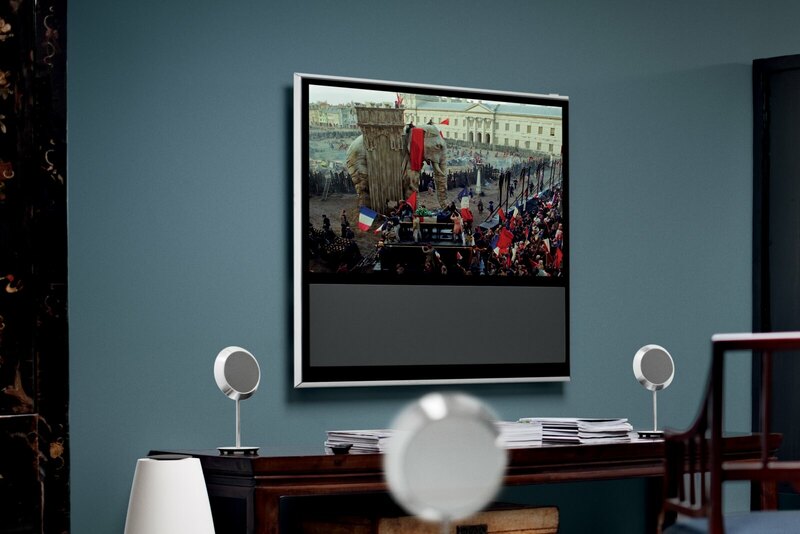 BeoVision 11 is all about expanding the way you use your TV. 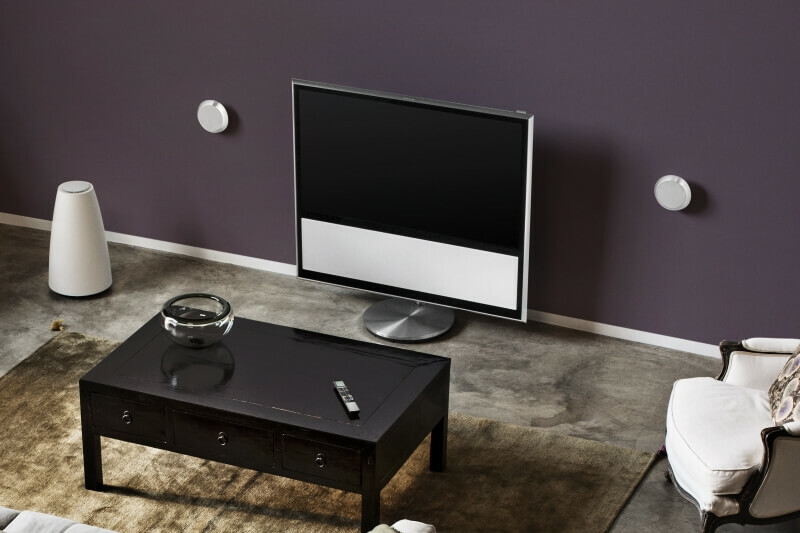 Once you press "play" on your remote control, the BeoVision 11 adjusts the angle automatically via the motorized wall bracket. Hinged left or right, the wall bracket can turn away up to 90 degrees from the wall to provide maximum comfort and an optimal viewing experience. 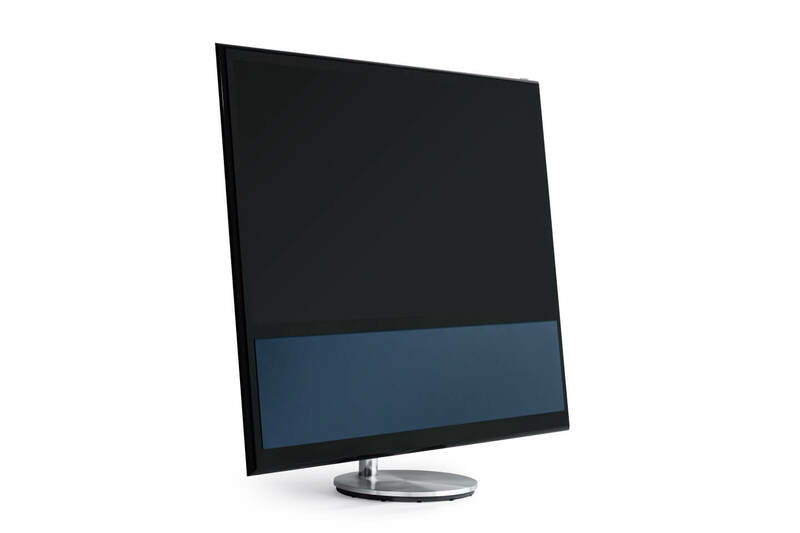 At first glance, the BeoVision 11 seduces with its stunning lines. Taking a look behind the elegant scenes, you will find countless innovations in its inside, that will kidnap your senses into a whole new world. Developed according to the highest quality standards, the LCD display is characterized by its outstanding performance potential. Razor-sharp images and powerful sound opens up completely new dimensions. 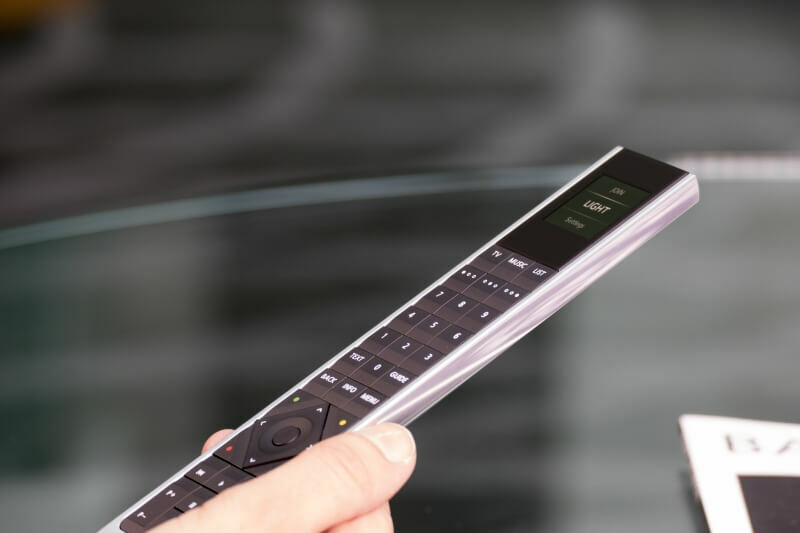 Producing high-quality and powerful sound from the limited physical volume of a flat screen cabinet is a contradiction in terms for most manufactures. Not for Bang & Olufsen. Behind the attractive speaker cover there are fully active three-way speakers with a sensational bass unit for its size. Customized drivers and efficient ICEpower amplifiers achieve unparalleled acoustic depth and power. The speaker cabinets were mounted in rubber bushings to prevent oscillations in the TV set. An efficient new digital signal processing algorithm seamlessly switches between specific sound modes back and forth - depending on whether music, sports, drama, movies, etc. are recognized as a source. The integrated three-way speaker system is powerful enough for most environments. 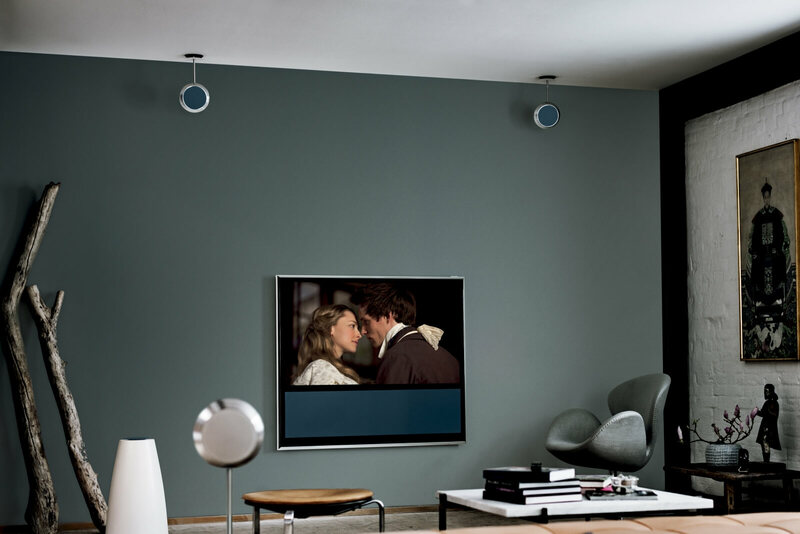 However, if you want a more intensive sound, you can connect a pair of Bang & Olufsen speakers to your BeoVision 11 or make the whole thing as a complete surround-sound setup. The TrueImageTM technology provides through up-or down mixing that the sound of your BeoVision 11 is always precisely matched to your speaker setup. The most flexible and at the same time most discreet surround sound solution you achieve by integrating our IWS speakers to create a wireless multi-channel audio system. 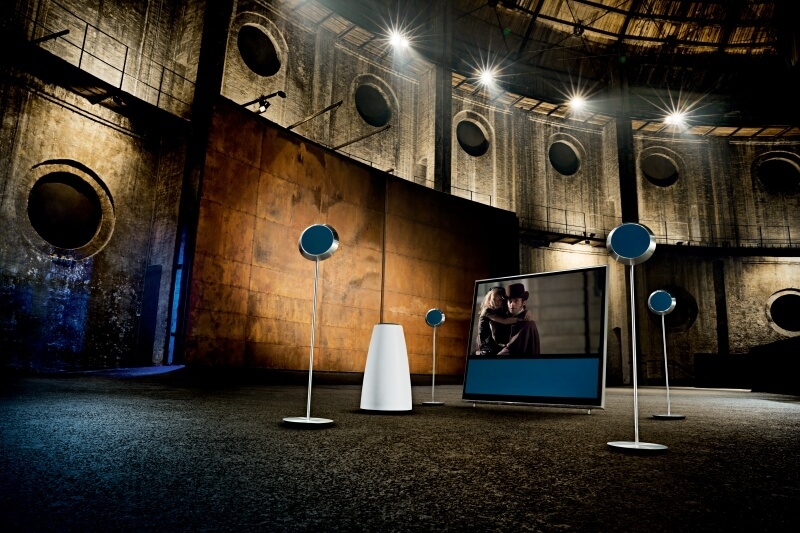 Bang & Olufsen understands Acoustic as a form of art. And so passion, precision and finesse were flowing in every little sound aspect. The new BeoVision 11 is no exception here. The fine tuning is done manually and by human ear. The result is a product in which the quest for acoustic perfection is revealed to the last detail. 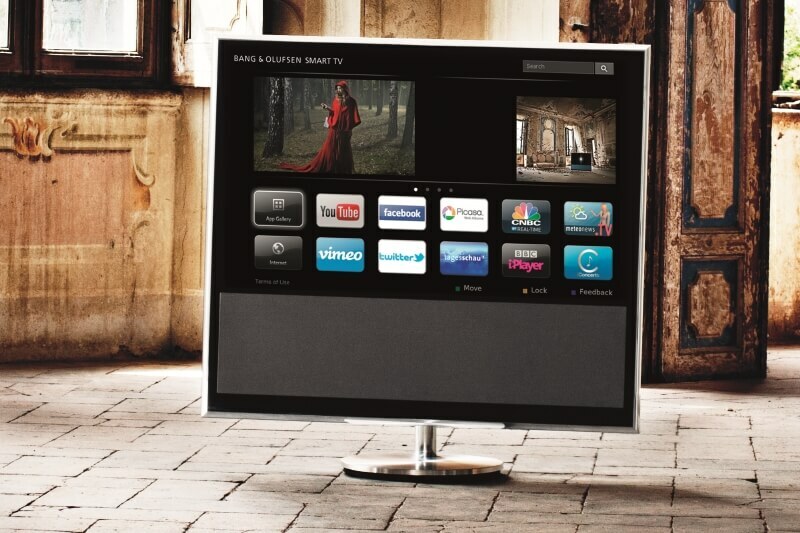 A Smart TV that will enchant your senses. A movie should be shown as the director intended. And also a PlayStation game must burst from the screen and update with lightning speed. 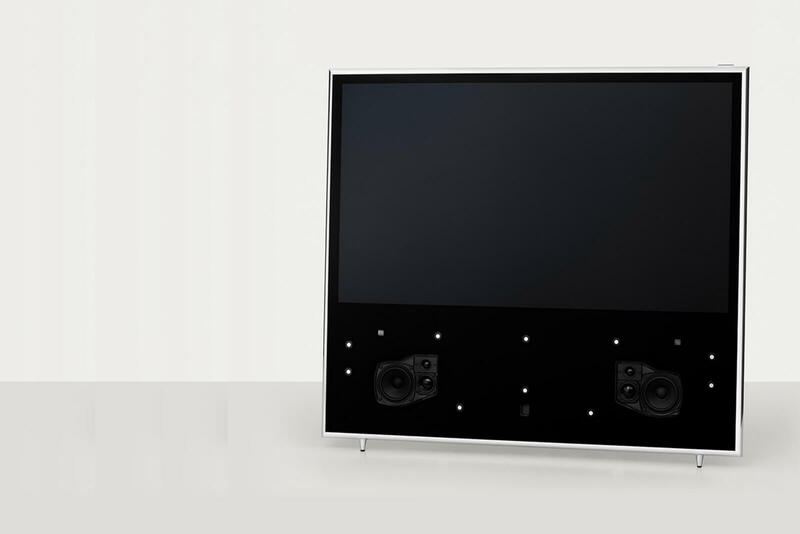 The BeoVision 11 offers extensive entertainment options, in order to deliver constantly optimal and authentic results. Thus, the "movie" mode, for example, spent richer, warmer colors. This mode can be set for various sources, such as Blu-ray, so you can enjoy your movies from the first scene, as they were originally intended. The "Game" mode is the answer to the challenges of modern games consoles. It limits input-to-output delays to a minimum. Whether you play against your children or your friends - with the excellent execution of BeoVision 11, you can completely immerse yourself in the action. 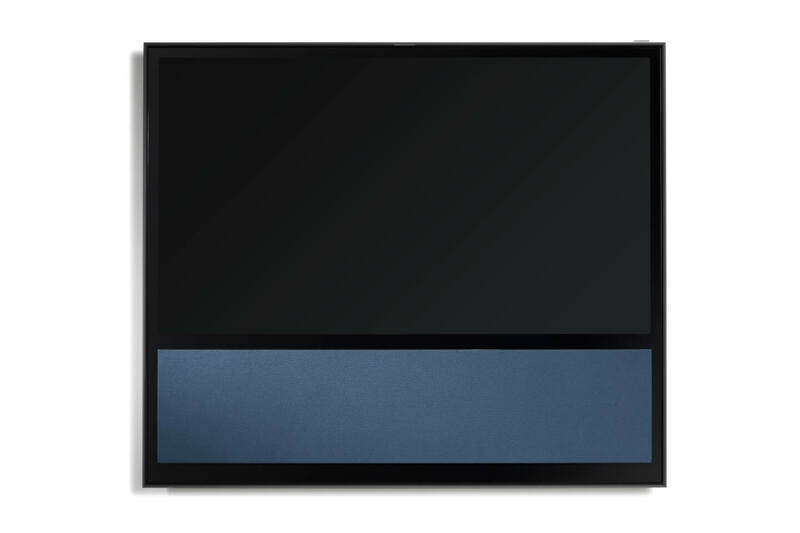 When the electronic curtains of BeoVision 11 slide to the side, they give a clear view of a razor sharp image with incredible depth and impressively, rich colors. This experience will change your expectation horizon sustainable. Unnoticed by us our eyes constantly analyses and adapt to lighting conditions around us. The functioning of the BeoVision 11 was designed very similar. 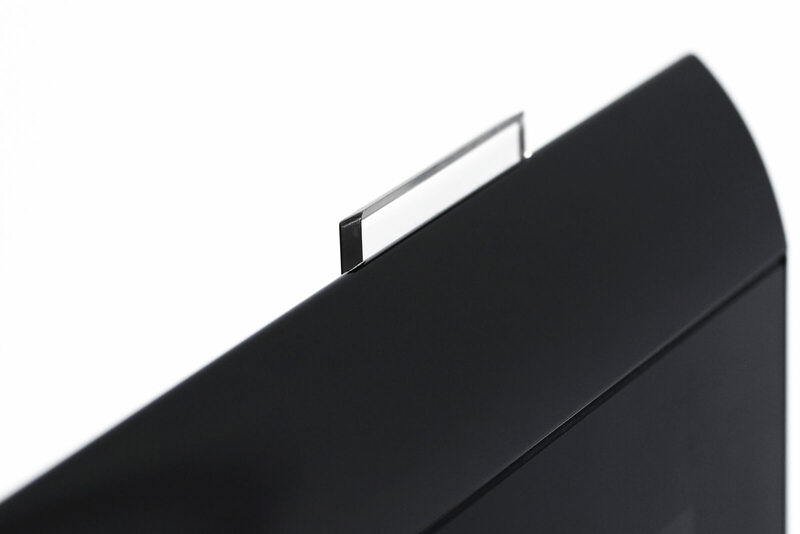 A discreet sensor is housed at the top of the aluminum frame. The sensor constantly measures and analyses light conditions in the room to make sure your viewing experience is comfortable and optimized whatever the conditions. It is even considered, the light reflected from white walls behind the TV set, and the image is adjusted accordingly. Each pixel receives exactly as much light as the sensor data planed. Here, the lighting conditions in the room as well as the image that is currently on the screen are considered. The adaptive contrast function ensures that the darker areas of a scene are played jet black and with optimal contrast even in most lurid daylight. The 1,5-D-section dimming optimizes the contrast of 2D images while the so-called "judder cancellation" provides for flowing picture reproduction. Movies usually run at 24 frames per second, which is not always ideal for TV. Using advanced compensating interpolation techniques, BeoVision 11 calculates the position of images and puts them together to form the original image. That gives you a noticeable smoother enjoyment. 3D technology itself is not enough. A 3D film should keep your senses on tour and give you, based on exhilarating crystal sharp imagery, the feeling that you are part of the action. The glass screen, through which the image is rendered, plays a key role. At Bang & Olufsen the image engineers go no compromises. To be exact, there are exactly two global manufacturers whose glass meets the meticulous demands of the engineers. 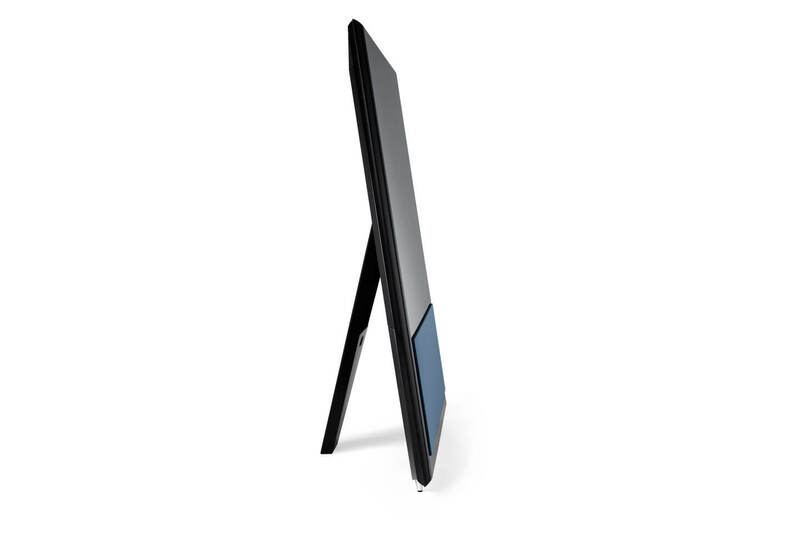 The BeoVision 11 has two of these high-quality 2-mm glass plates with reflection-reducing coating on both sides to ensure even in lurid sunlight outstanding clarity and optimal contrast. 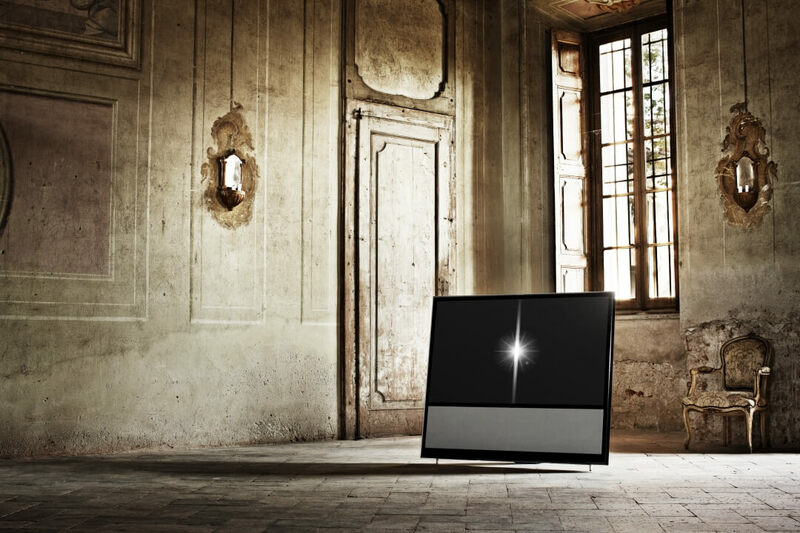 The BeoVision 11 is the first Bang & Olufsen TV with Smart TV - a new platform that allows you to easily switch between TV channels and the Internet back and forth. The simultaneous presentation of TV and Internet windows is possible with the picture-and-picture function. Post comments on Twitter, recommend Apps, track your favorite shows and more. And all of this has an elegant user interface that is so easy and intuitive to use, that the whole family will benefit. Entertain your family with your holiday photos on Picasa or amuse yourself with funny YouTube videos. Live concerts and Internet TV from around the world are now coming to your home screen. On delivery, the BeoVision 11 is already equipped with all the Apps you need. Only the best Apps were selected and the offer is constantly updated about local and global feeds. You can also customize the collection to your personal needs. The BeoVision 11 is now even more versatile. 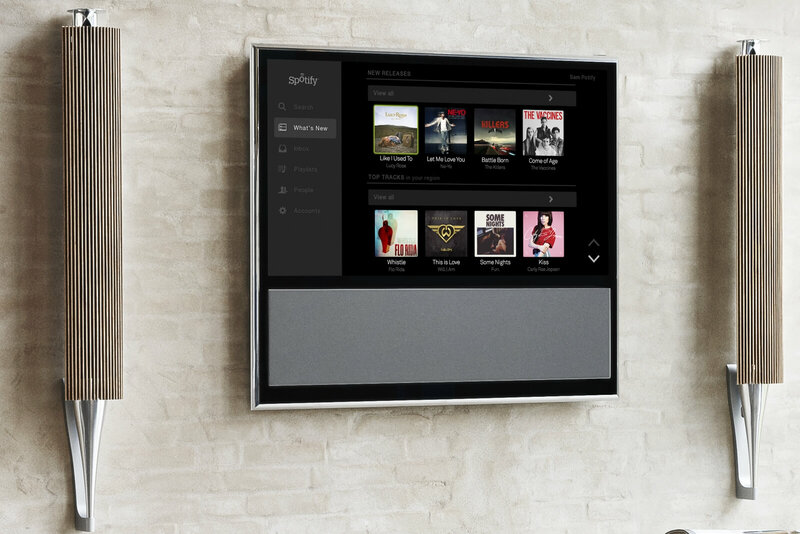 With Spotify and its selection of over 20 million songs you can turn your television into a music system of the highest class. 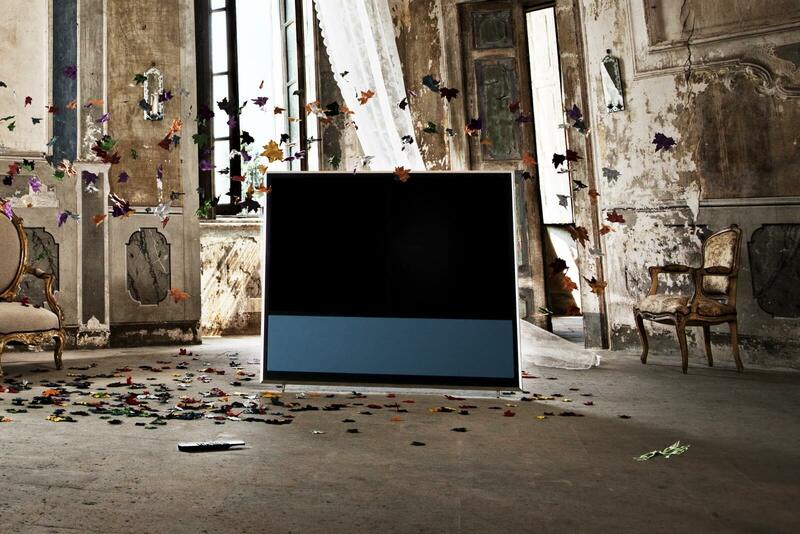 Get your favorite music in your living room by pressing a button - with the superior sound from Bang & Olufsen. Also, the music service Deezer is seamlessly integrated into your BeoVision 11, to fulfill your musical wishes immediately. Just make sure that you have the latest software update, and off you go. Deezer is available in more than 180 countries. Its music library contains more than 30 million songs and it offers more than 30,000 radio stations with music recommendations. Thus Deezer is well prepared to satisfy even the most demanding music listeners. Access with a single button. Bang & Olufsen is insisting on to make experiences intuitively and easily accessible - and this with a single remote control. The BeoRemote One is the epitome of this philosophy. MyButtons are dedicated buttons that allow you to revisit your favorite Internet radio stations, TV channels or custom setups with a single touch. The BeoRemote App has been developed with the usual quality of Bang & Olufsen. With the result you can use your tablet’s full keyboard to navigate easily and conveniently through your media. Whether you enjoy music, update your Facebook status, or simply want to watch TV, with BeoRemote the operation is easy. 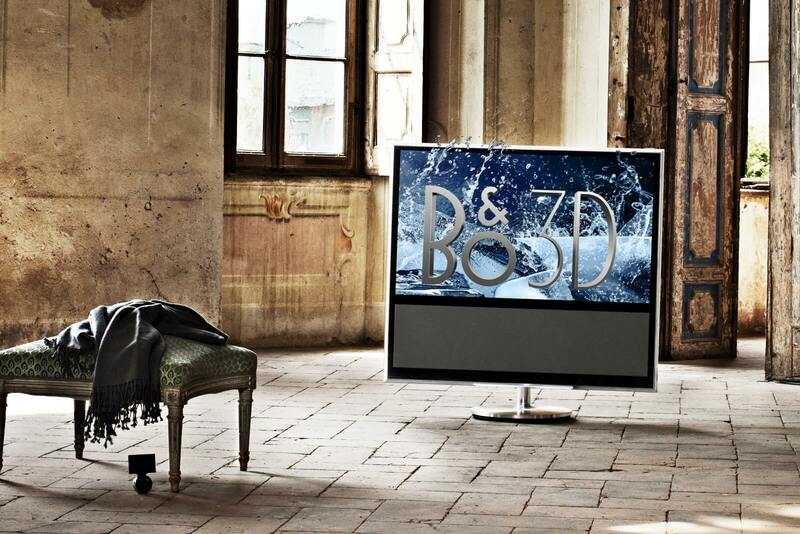 Experience BeoVision 11 in your home.